The loofah (also spelled “luffa”) grows in tropical climates (e.g. Central America, Caribbean, Asia). It maintains its color and quality because it has not been treated with petrochemical substances nor metal elements. - Promotes a healthy looking skin without harming nor leaving it rough. - Wet the sponge under the shower or bath before use. 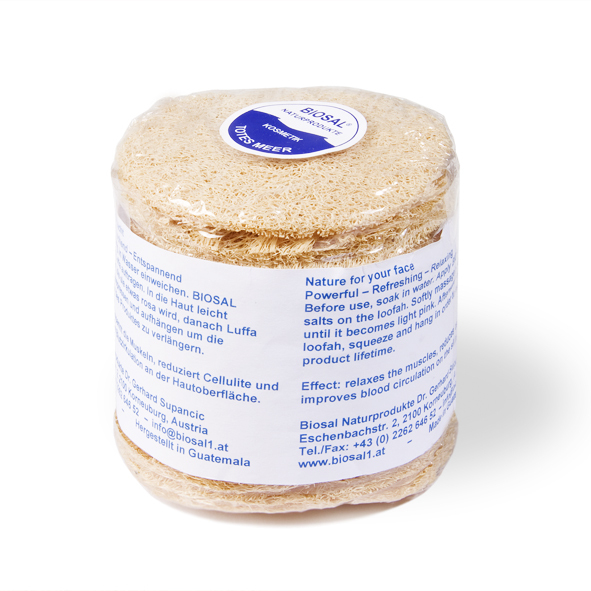 - Add soap or BIOSAL® mineral salts on the loofah and massage your body until your skin turns lightly red. - After using rinse with water and let dry.